From $10 to $10,000 or more, we rely on the support of our friends to continue doing our prolife work at Greater Columbus Right to Life. Giving to Greater Columbus Right to Life comes from a place of conviction, not from a desire to maximize your tax deductions or reduce your taxable earnings. For some of our friends and donors, however, being aware of giving options may help you to maximize the long-term value of your gift. Between federal funding of organizations like Planned Parenthood and the taxpayer subsidies of abortion and abortifacients in the federal healthcare act, year-end giving is an opportunity to ensure that more of your money goes to an organization like GCRTL that reflects your values, rather than the government in the form of taxes. With significant tax changes being considered by Congress, now is a good opportunity to make a tax-exempt gift. If you are a donor who is interested in making a larger gift, please consider some of the information at the bottom of this page, or give us a call so we can connect you with an expert who can help ensure a tax-advantaged gift. 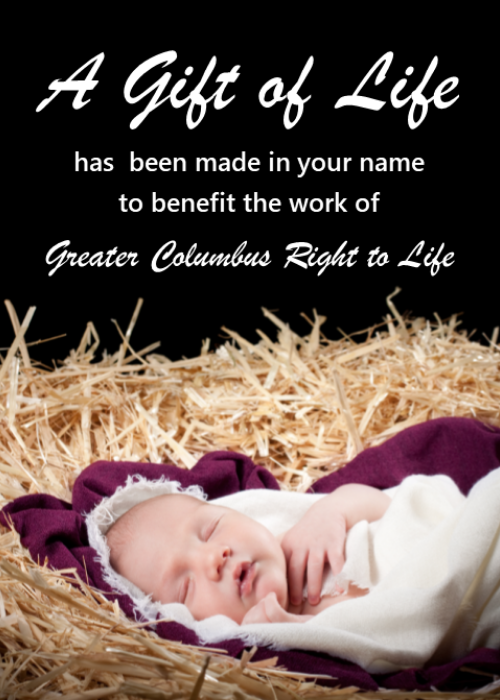 The mission of Greater Columbus Right to Life is to promote a culture that protects innocent human life from conception until natural death. We serve the Greater Columbus Community through our efforts to educate people on pro-life issues and advocate for the pre-born, the aged and the infirm. To make a year end donation, you can mail a check to 665 E Dublin Granville Rd, Ste 115; Columbus, OH 43229. If you prefer to donate with a credit card, you can call us at 614-706-2577 or you can download an an appeal card, complete it, and mail it to us. Donations sent via the mail must be postmarked by December 31st. We do not recommend sending cash through the mail. You can also donate securely with us via our e-giving website, which will open on a new page (it will start with e2rm). 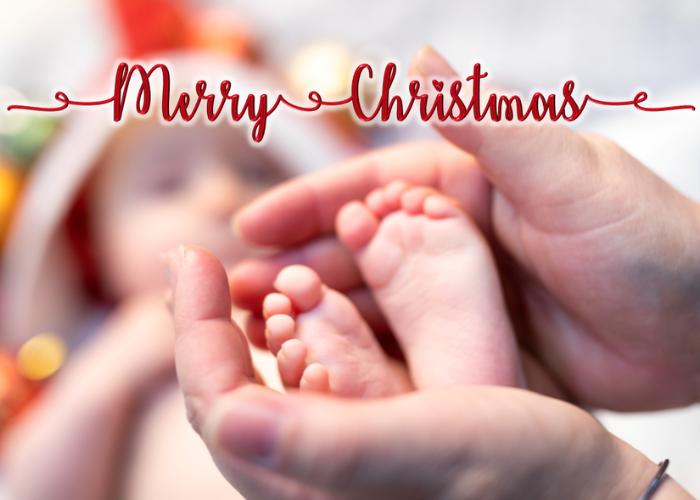 If you would like to do something more meaningful than a sweater or more personal than a gift basket, consider making a donation to Greater Columbus Right to Life in honor of a friend or loved one this year. We are making it easy and adorable with our precious Gift of Life Gift Cards! It makes an especially thoughtful gift for that person who is downsizing, the stalwart prolife volunteer, or your pastor or priest. You can even give a gift in honor of the abortion clinic worker who you have especially been praying has a change of heart. You can click on any of the imaged below to send that card as an e-card (either directly to the recipient or to yourself to print out). 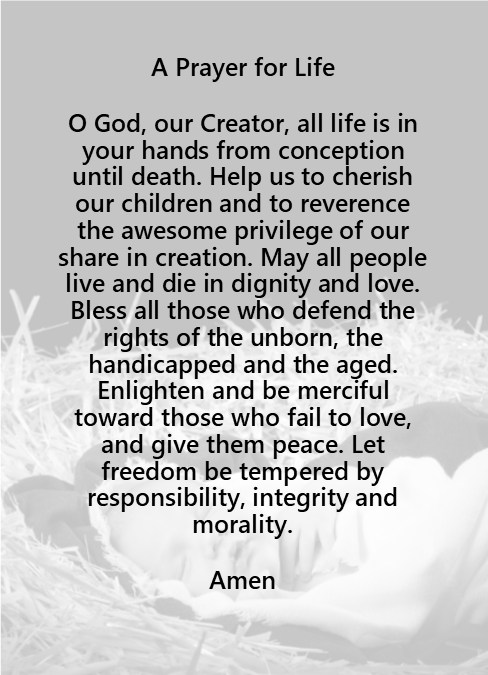 Select cards are available in print - meaning that we can send a printed prayer card to the recipient. For custom cards, bulk donations, envelopes suitable for sympathy memorials, or any with any other questions, please email us. Support our work every time you shop, search, and save! Greater Columbus Right to Life and the Columbus Right to Life Educational Foundation are participating organizations with Amazon Smile, Goodsearch and GoodShop, and Kroger Community Rewards. When you shop with AmazonSmile, .5% of every eligible purchase will be donated back to Greater Columbus Right to Life and the Columbus Right to Life Educational Fund. We also participate in goodsearch and goodshop. With GoodSearch, every online search you make raises a penny for GCRTL! Similarly, GoodShop works with thousands of online and local retailers to bring you great coupons. Plus, when you buy online through the goodshop launch page and select Columbus Right to Life as your favorite organization, we will earn up to ten percent back in referral rewards! If your account is not registered online, you will have to register. Then, indicate you'd like to earn rewards for GCRTL with number 81974. Everyday shopping will save you money and earn us critical funds! In 2013, Kroger Community Rewards earned GCRTL enough money to train three new sidewalk counselors! While most people donate to charitable organizations by a "cash" gift, either by cash, check, credit card, etc., if you are looking to make a larger gift, we can gratefully accept non-cash gifts. Basic non-cash gifts might be stocks, bonds, life insurance bequests, or property. We also use the term "complex" non-cash gifts, not because it is difficult to give these items, but because in order to realize full tax benefits you may want to seek additional assistance from a tax adviser or attorney to set up the structure for how the donation is made. These might include trusts or donor advised funds. There are also "other" ways to give, such as in-kind donations, sponsorship of events, etc. You may even be able to deduct tax savings by calculating the value of the miles you drive for doing charitable work for GCRTL. Many people mistakenly believe that these types of giving are only available to the wealthy. This is not at all true - many of the benefits are available to those of more modest means. Through our relationship with the Stewardship Foundation, we may even be able to help you with some of the planning. We appreciate partnering with you to create a culture of Life here in our community, and we'd like to help make sure that you leave behind a legacy for life as well. Noncash gifts can take several forms. Greater Columbus Right to Life has a relationship with the experts at the Stewardship Foundation who can assist you to make one of the noncash gifts described below or another gift that fits your circumstances. We also have a profile with the Columbus Foundation for those individuals who have a donor advised or other fund through the Columbus Foundation. We also receive gifts from time to time through donor advised funds at the Catholic Foundation and various private foundations in central Ohio. Appreciated Assets: Gifts of appreciated assets such as stocks and bonds are deductible at their fair market value if they’ve been owned for at least one year. They can be used to offset tax on up to 40% of your AGI and you avoid the capital gains tax. You can also make a gift of an asset that you do not plan to keep because it has lost value – you may be able to get a deduction for the asset and the loss in the value of that asset. Retirement Plans, Bequests, & Life Insurance: Making a donation from your retirement plan is a great way to meet your required minimum distribution AND avoid income taxes on the value of your investment. If you own a whole term life insurance policy that you no longer need, you can donate it now for income tax savings today. Also consider remembering GCRTL in your will. ​Real Property: If you have personal property (land, building, jewelry) and are looking to simplify, or if you own a business and are retiring, one option is to gift that real property or a portion of the business to a charitable purpose. In many cases, we have the ability to accept gifts of valuable real property. Through our relationship with the Steward Foundation, Greater Columbus Right to Life can help to connect you with professionals who can help you with more complex noncash gift options. Many people incorrectly believe that more complicated giving is something that is restricted to the very wealthy. That is not necessarily true. With some pre-planning and education, even families of more modest means have the ability to make a lasting impact – a Legacy for Life. ​Charitable Remainder Trusts (CRT): CRTs are special tax-exempt irrevocable trusts. In a CRT, you transfer cash or assets (particularly appreciated assets like land, stock, or other property) into a trust. In return, you may receive income for life or for a set number of terms. The income from a CRT can be paid over your life, your spouse’s life, and even through your children and children’s lives. At the end of the term of the trust, the funds go to support your organization. ​Gift Annuity Trusts (GAT): A GAT is a simple agreement between you and a foundation that pays a guaranteed fixed sum each year for life based on the amount of money that you put into the trust. A GAT can help to reduce your taxable estate, obtain a charitable deduction, and receive an income stream for life all while guaranteeing a sizeable gift to a group like Greater Columbus Right to Life. ​Charitable Lead Trusts: A charitable Lead Trust reduces taxable income by donating a portion of the trust’s income to charities. After a specified amount of time, the remainder of the trust is transferred to your beneficiaries. Handling the asset in this manner can shelter the asset from estate taxes. ​Donor Advised Funds: Donor Advised Funds can help an individual, family, or business make an irrevocable, tax-deductible contribution to a charity. 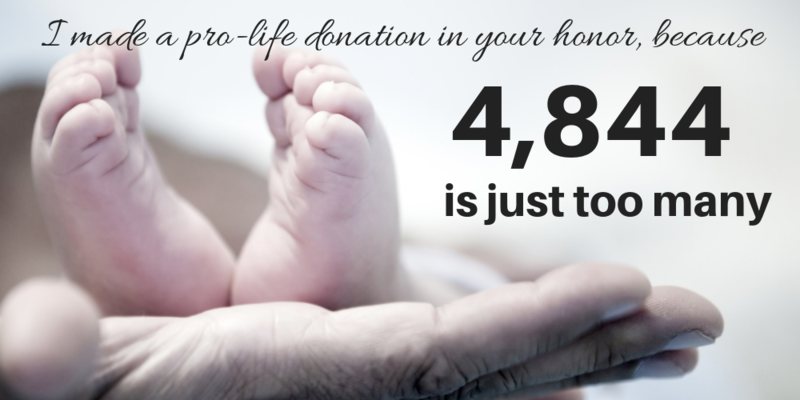 Individuals can form their own donor advised funds to benefit Greater Columbus Right to Life and your other favorite organizations, or you can contribute to the Greater Columbus Right to Life “Life and Love” fund to support our ongoing efforts. While not necessarily part of a year-end-giving strategy, please also consider the value of in-kind gifts and sponsorships – both are critical to our mission. In-Kind Gift: In kind gifts are when you donate a good or service to GCRTL. Examples of in-kind gifts might be donating a meal for one of our trainings, donating printing or mailing supplies, or buying materials that we need for the office. It also may include professional services in some instances. Sponsorships: Donations make up the bulk of our operating costs. Our special events budget, however, largely relies on sponsorship dollars in order to make the program possible. If you or your business is interested in a sponsorship, please give us a call today! Volunteer Mileage:In 2016, the IRS determined a deduction of 14 cents per mile driven in service of charitable organizations. If your volunteer work for GCRTL includes driving, you may be able to take advantage of this deduction.